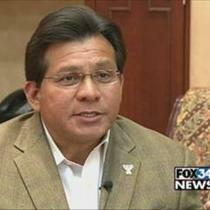 Ex-U.S. Attorney Alberto Gonzales is cashing in on his name. The Texas company Drexel Metals Inc., a provider of standing seam metal roofing systems, announced Monday that Gonzales has joined its board of directors. “I have enjoyed working with Al while he served as a valuable consultant that helped Drexel Metals establish itself in Texas and better service the Hispanic community,” said CEO Rob Waite in a statement. Gonzales, the former Attorney General under President Bush, is a visiting professor at Texas Tech University and is president of Alberto R. Gonzales, P.C., a provider of consulting, arbitration, and mediation services. Posted: 6/13/11 at 7:10 AM under Milestone, News Story.